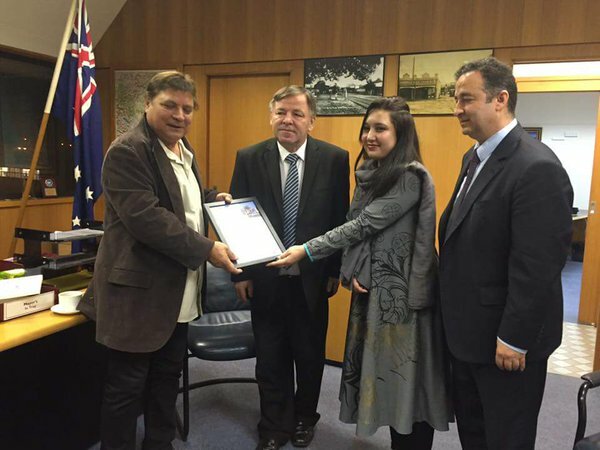 World known Pakistani sculptor and painter Anjum Ayaz in on 6th visit of Australia. 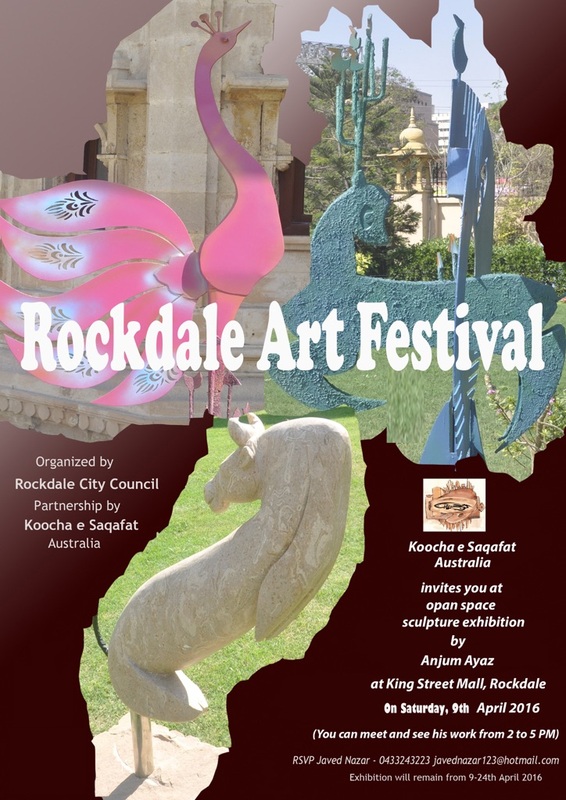 In Sydney, Rockdale Arts Festival is launched from Sunday 10 April to Sunday 8 May 2016.Mr Anjum Ayaz’s sculptor exhibition is on display at the open place from 9th April – 24th April 2016, for location and further information, please contact Javed Nazar on his Mobile: 0433 243 223 or javednazar123@hotmail.com. On Wednesday, 6th April 2016, Prominent political figure, Member ALP, Opposition Whip in the Legislative Council Hon. Shaoquett Moselmane, MP NSW Parliament hosted a breakfast in the honour of Mr Anjum Ayaz. 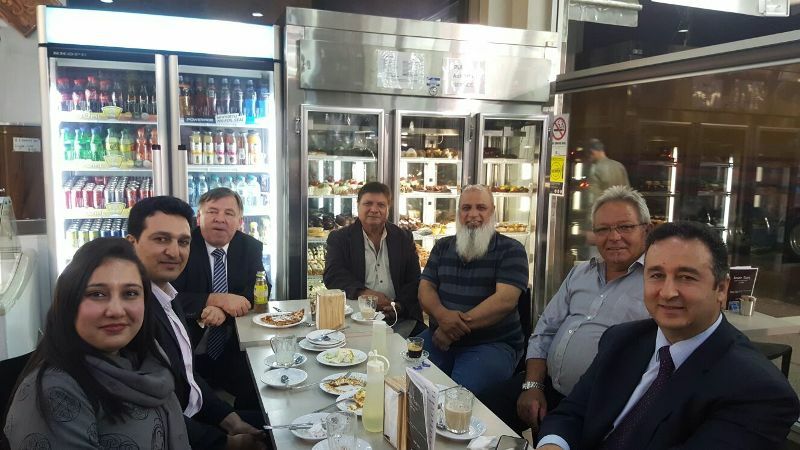 The breakfast was held at the Al Aseel Lebanese Restaurant Lakemba. On the same evening Mr Anjum Ayaz meet Mayor of the City of Rockdale Cr. Bill Saravinovski and discussed the arrangements of the Rockdale Arts Festival 2016. Honourable Shaoquett Moselmane MLC and Acting Consul General of Pakistan Bushra Salam was also present. Mayor of the City of Rockdale Cr. Bill Saravinovski especially Welcome Acting Consul General Bushra Salam and thanks for visit on short notice.